a while ago. He was extremely friendly to work with and good about including me in every step along the way. This was my first ever commission. 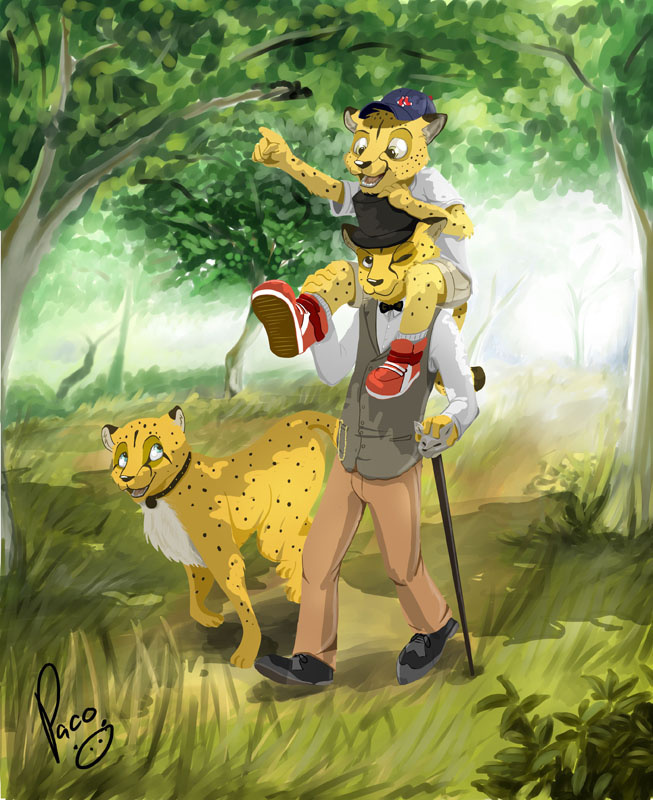 It features myself, the snazzy Chase, the rambunctious little Trip and Bite, the feral cheetah. pandapaco ( https://inkbunny.net/pandapaco ) is the greatest!